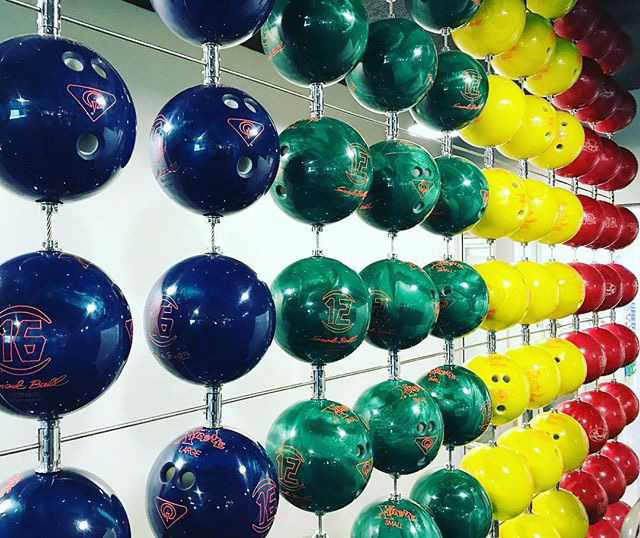 Here is a photo I found on Instagram at the Google Bowling ball location by the GooglePlex, of bowling balls hanging and suspending in air via wires. Of course, the balls are all in Google's logo colors. I don't think they have too many lanes at their bowling alley but they do have one on campus.